On the ChallengeMD! Goldfields 2016 last year I took my mountain bike and returned a changed person having finally had a go on a road bike (thanks Chris!). 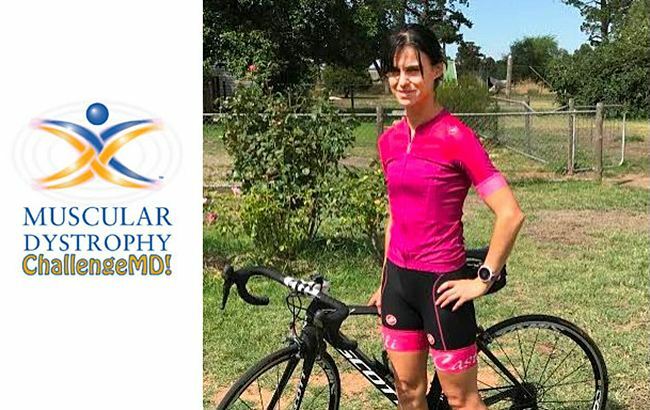 Now that I have a road bike (and brightly coloured Lycra), time to put it to good use by cycling 450km through the Victorian goldfields to raise money for the Muscular Dystrophy Association. The ethos of ChallengeMD is to endure a significant physical challenge on behalf of 1 in 625 men, women and children in our population affected by the devastating disorder – Muscular Dystrophy, as well as raising funds and awareness for the MD community. My little brother is now 19 and has Duchenne Muscular Dystrophy. A degenerative muscle-destroying disorder that means he needs help even for things we take for granted like picking up the dropped remote control or sticking his middle finger up at his big sister (it’s a challenge for him, but he manages to do it through sheer determination!!). With a round journey of 600km for each hospital visit, the MDA has helped us greatly by employing a nurse coordinator at the Children’s hospital to schedule his appointments together – just an example of one of the many ways the MDA works hard to support the MD community. Please help me raise funds to support the important work MDA does.